We love this time of year. The mercury in our thermometers is skyrocketing, the sun is blazing in the sky, and everybody’s spending as much time as they can outdoors. And the best part about the Aussie summer? We get the perfect excuse to spend those balmy afternoons and evenings sipping chilled glasses of top-notch wine, catching up with our mates, and generally living the good life. Over the past year or so, there has been a massive spike in interest in wine cocktails. Sure, the classics - like a traditional Spanish Sangria - have been around for ages, but it’s been really exciting to see mixologists and amateur cocktail shakers pick up bottles of wine rather than spirits for their concoctions. After all, it makes perfect sense: wine cocktails are lighter, more refreshing and heaps more thirst-quenching than your average gin, vodka, rum or whisky-based cocktail… and anyway, who wants to neck such strong drinks when the temperature outside is sweltering? When it’s this hot outside, classic spirits-based cocktails are a one-way ticket to falling asleep in your chair, missing out on all the banter and fun the night-time has to offer, and waking up with a banging headache. And there’s no fun in that. It seems we’re far from alone in thinking this. Right now, loads of great bars and events across Australia are using some fantastic local wines to mix up some seriously delicious summer cocktails. We’ve trawled through as many as we possibly could, and have picked out our absolute favourites to share with you. A couple of words of warning, first. Unless you’re a Spanish teenager who has just finished their exams, there’s no excuse whatsoever for drinking Kalimotxo - that nasty combination of cheap red wine and cola. I don’t care how often I see some trendy bar or other trying to claim it’s the next big thing… it really isn’t, and it doesn’t hold a candle next to the wine cocktails we’re going to recommend below! On a similar note, it’s probably also best to steer clear those wine coolers that seem to be doing the rounds in some places. They tend to be packed full of sugar, preservatives and some slightly worrying chemicals, and what’s more, they aren’t half as nice as the real thing. Stick to freshly made wine cocktails, made from well-chosen bottles of wine, and experience for yourself how the flavours in the mix sing together in perfect harmony. 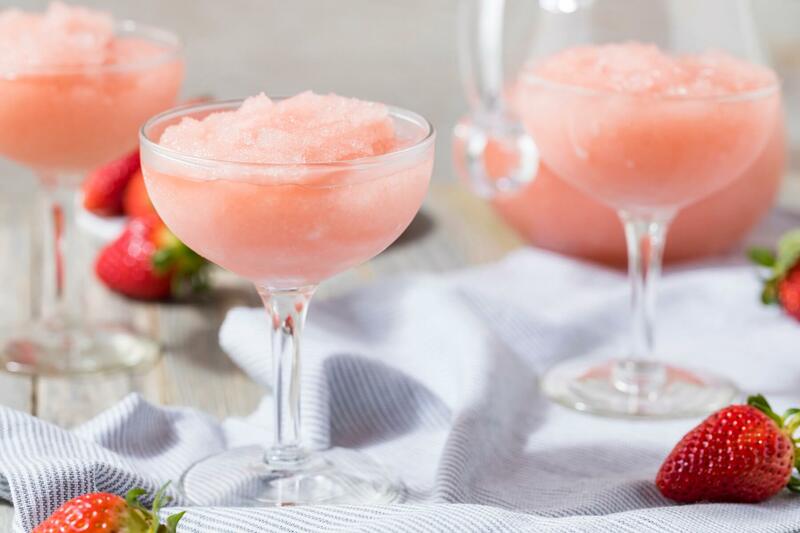 Let’s kick things off with the definitive wine cocktail trend of this summer: the frosé. This ‘grown up slushie’ was inspired by a pair of bars in New York and London, and with its characteristic blush colour, delicate set of flavours and sense of fun, there’s little wonder why it’s been such a massive hit across the world. The frosé is a blend of crushed ice, rosé wine and a splash or two (or three, or four…) of Vermouth - the aromatic fortified wine which is featuring in the V&T, another big hit this summer. 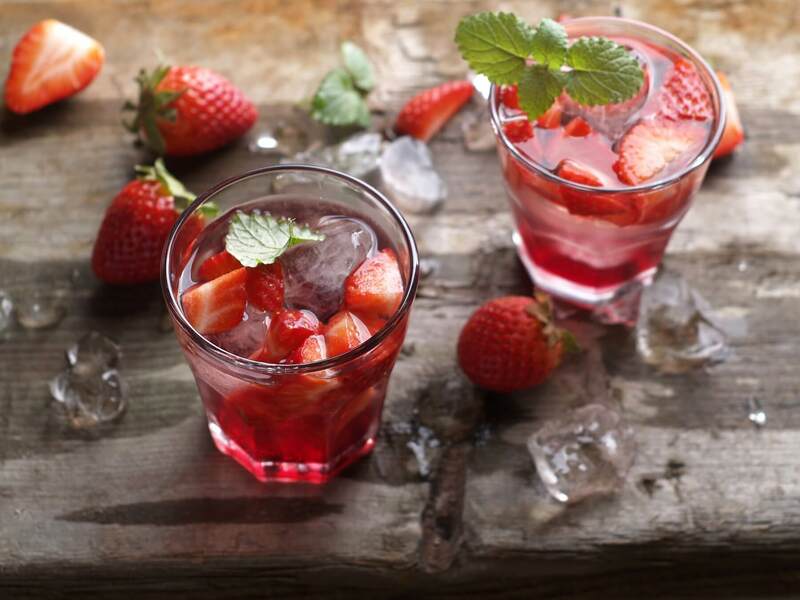 Mixed together, and served with a straw and a strawberry stuck in the top, it’s a great way of making any bottle of rosé wine (even the less-than-inspiring ones) become the ultimate refreshing cocktail for when you’re in need of something to seriously cool you down. We all love a carafe of Sangria on a hot day - it’s one of Spain’s great gifts to the world. However, the classic combination of red wine, fruit juice, fizzy pop and sliced oranges isn’t the long and short of this drink. Using the old school recipe for inspiration, plenty of bars and restaurants have been making lighter, whiter, more summery versions of this cocktail, our favourite of which has to be the frankly gorgeous White Melba Sangria. 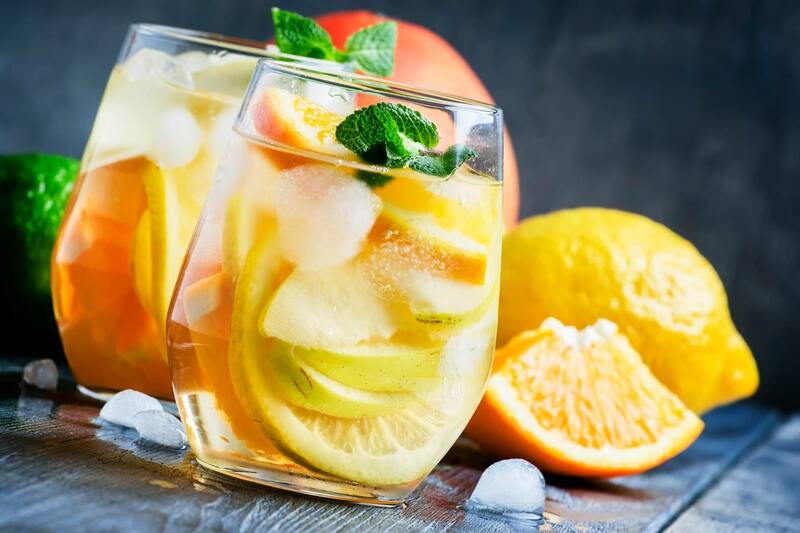 The tropical flavours of Italy’s favourite white wine (which many Aussie wineries are now producing with fantastic results) gets a boozy kick from the addition of rum and peach schnapps, before being cooled off with some soda and loads of citrus fruit. Delicious, and perfect for an afternoon on the beach! In the northern hemisphere, when this time of year is cold and snowy, Fino Sherry is seen as something of a winter warmer. Here down under, it’s the perfect ingredient for this cool, sophisticated and decidedly elegant summer cocktail, which is absolutely perfect for sipping among friends out on a terrace. The floral hit of the elderflower cordial balances perfectly with the strong aromatics of the Fino Sherry. 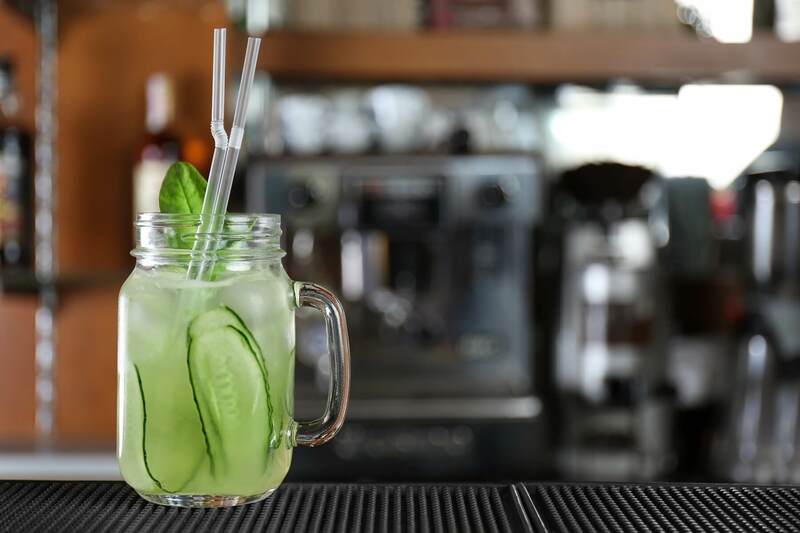 When combined with some fresh and fizzy soda water, a bit of lemon and a shard of cucumber, you’ve got yourself a summer cocktail that’s got all the character and charm of a summer garden. This one is sure to get you feeling relaxed and ready for a lazy day lying out in the sun! Who doesn’t love a good Moscato? Here in Australia, we produce some of the best Moscato wines in the world (a big shout out to Yarra’s Innocent Bystander, which is one of our favourites of the whole bunch), and they’re pretty much perfect to sip on their own on a hot and sunny afternoon. However, with a bit of mixing and cocktail-making know-how, you can transform any Moscato into a cooling long drink which is going to ensure you stay refreshed in even the most scorching conditions. Light, fun, fruity and frivolous, this summer cocktail’s got it all going on! If there’s one country in the world which has been booming as far as its cool credentials go this year, then that country is surely Portugal. Foodies and wine lovers alike have been flocking to Portugal’s two major cities - Porto and Lisbon - and it’s led to a resurgence in popularity of the country’s flagship fortified wine. White Port wasn’t often seen in global wine shops until quite recently, but it’s more accessible than ever before. With its strong flavours, gorgeous headiness and powerful aroma, it’s the perfect wine to mix with a good quality tonic water. 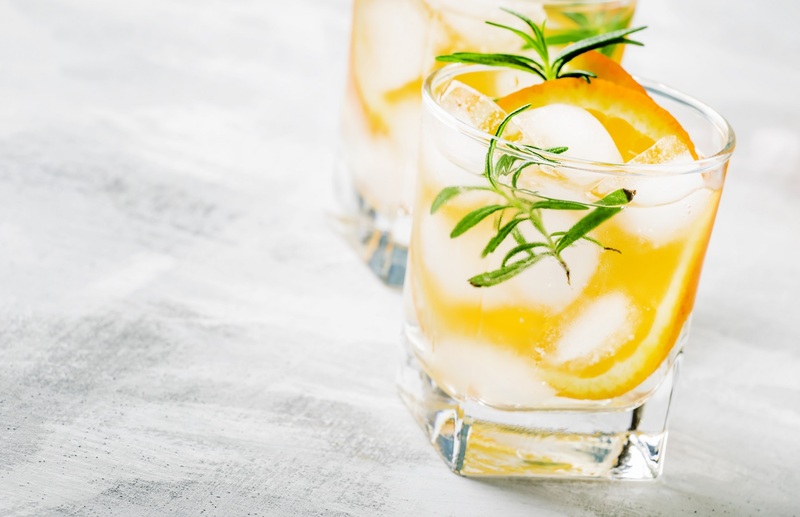 Astonishingly refreshing, and perfect for those sweltering summer days, White Port and Tonic is proving to be a big hit in the hipper bars around the world. Try it for yourself, and see what all the fuss is about. There you have it, a list of summer cocktails perfect for this time of year. But if you're the "pour-straight-from-the-bottle" type, we've got you covered. Click here to take our fun palate profile quiz and we’ll recommend three bottles that we think you'll love according to your results!